Leona Marie Dittmer, age 96, of Huntingburg, passed away quietly at 8:20 a.m., on Wednesday, January 16, 2019, at Scenic Hills Care Center in Ferdinand. She was born January 3, 1923, in Arthur, Indiana to Fred and Travie (Wood) Lewis; and married William R. Dittmer on December 31, 1941, at the Holy Roman Catholic Church in Boonville. Leona managed the family business, Dittmer Wallpaper & Paint Store, until its closing; and then worked for Gosman Shoe Store and finished her career at Gossard’s. 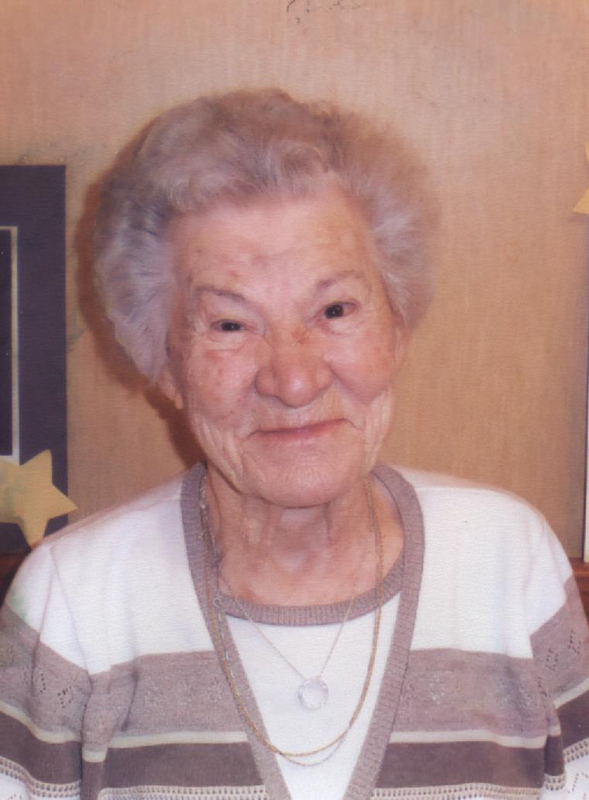 Leona enjoyed golf, bowling, camping and playing cards, especially Bridge. She was a member of the Huntingburg Country Club, YMI Club, VFW Post #2366 Auxiliary and St. Mary’s Catholic Church. Leona was preceded in death by her husband, William R. Dittmer; one brother, Kenneth Lewis; and one sister, Emma Armstrong. She is survived by four children, Sharon (Neale) Stetter Shaw of Mt. Carmel, Illinois, Patricia (Gary) Leibering of Huntingburg, William R. (Doris) Dittmer, Jr. of Huntingburg, and Penny (Larry) Altstadt of Huntingburg; two sisters, Olevia Ingle of Bluffton, Ind., and Joyce (Randall) Emerson of Speedway, Ind. ; by (9) grandchildren and (11) great grandchildren. A funeral Mass of Christian Burial will be held at 10:00 a.m., on Friday, January 18, 2019, at St. Mary’s Catholic Church in Huntingburg with burial to follow at St. Mary’s Cemetery. The funeral Mass will be celebrated by Rev. Ryan Hilderbrand. Friends may call for visitation at the Nass & Son Funeral Home in Huntingburg from 9:00-9:45 a.m., Friday morning, the day of the service. The VFW Post #2366 Auxiliary will provide an Honor Detail.